*Any makes, charity/ thrift shop finds and upcycling will be tweeted using the hashtag #PregnancyPledge on Twitter, if you're interested! 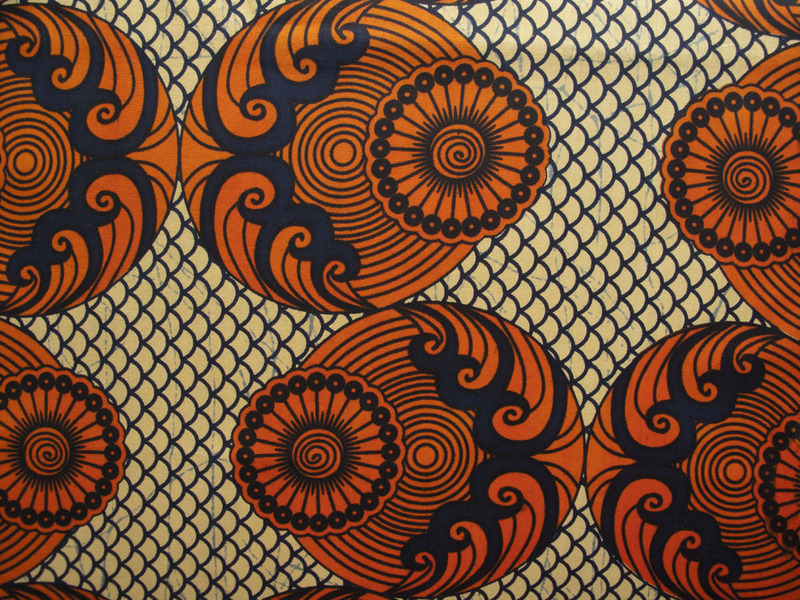 I have finally used this African wax print I, shamefully, picked up last year in April. The fabric is fabulous and I am trying to 'stash-bust' as I save for this child! It's working; I am getting through a backlog of fabric, wool and trimmings. Alas, the more one makes- the more one wants to make (and spend). 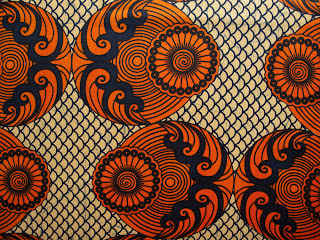 I bought the fabric from The Fabric Godmother, who regularly has beautiful African wax prints in. I love their uniqueness. Every centimetre of the fabric is hand-dyed and really is beautiful. I love this top! Colour-wise, it's a major statement print. I will undoubtedly wear this top with the obligatory leggings/ jeggings and pretty sandals. I think a few wooden accessories will really bring out the modern-ethnic look of the piece. There is loads of space in the front too, ready for the ever-growing bump. Those pattern adjustments did the trick, it's much longer now- but not as long and tapered as the dress version included with this pattern. I hate to even think about wearing leggings with a short top, it simply must come down to the thighs- or I don't want to know! Modesty. Hidden pocket! For the tokens, loose change, train tickets... this is for my holiday as a 6 month pregnant woman, who knows what little secret treasures I'll need this pocket for then?! Probably some confectionery of some form, no doubt. I thought I would play around the pocket location on the top. Originally, this was meant to be a breast pocket. I changed it; I don't EVER use a breast pocket when I have them on a piece of clothing. So I decided that a hip pocket would be more useful. Also, with the bold and clear print... I was able to totally match the pocket with the main top- so it's almost a secret pocket. Bias-bound armholes and neckline. It's a frustratingly small bias strip to guide and sew around these areas! I am slowly getting used to the art of the bias-strip application and use, but it is still the definition of 'finickiness' as far as I am concerned. 1/4" + ? = 5/8"
What is the value of ? and particularly, what is it in metric?! On that mathematical , I shall leave you to mull this over and help out an over-worked, perpetually-tired, constantly-hungry expectant-mother! My overall review of the Wiksten Tank is totally positive. Adaptable, easy and quick. I think with the right environment, the right amount of need, the right amount of willingness... it would be very easy to churn out 3 or 4 of these in an afternoon session. Clear instructions and a beautiful stash-buster, I highly recommend this to anyone. I actually prefer it to the very similar 'Sorbetto' from Colette Patterns, its a more wearable and versatile design; tucked in, with leggings, skirts, jeans... you could even wear it on top of a bikini/ swimsuit at the beach in summer. The length is easily adjustable. Looks grat, yeah to bold prints! Stunning fabric, gorgeous top... And for what it's worth, I love French seams too! Also, 3/8" is about 9mm... I usually round to 1cm. That is one funky top. Love it! Super cute and this will be great to wear after bubs with a cool belt. Sassy mamma tops is go!